As a fledgling writer I was advised that my reading pleasure would be ruined for ever; that I would minutely study everything I read, dissecting the dialogue, the use of language and vocabulary, the narrative style, to determine how it worked. I would treat every novel as a lesson. And I did, up to a point. For a newbie, it was a great way to learn. But I’m getting over that now. I still read a lot of fiction but I’m not obsessed with dismembering every book so I can scrutinise its inner workings in forensic detail. And I still learn a lot from my reading, that’s one of its pleasures. Facts I was previously unaware of, a novel approach to an everyday plot, the crafting of a story arc, I absorb it all. Some books are instantly forgettable; others stay in my head for a long time. Some take up permanent residence, and it’s these that I’d like to share with you. I’ve been trying to work out how many books I’ve read in my lifetime but it was never going to be a straightforward calculation. Although I’ve always been a keen reader, there have been periods in my life when there wasn’t the opportunity, or I didn’t have the concentration for anything longer than a short story in a magazine. Then there were those times when I devoured several books in a weekend to distract me from my real life; when living someone else’s life vicariously was less painful than living my own. So I gave up counting and decided instead to list the books that have made a big impression on me. We all know the advice – we become better writers by reading widely. 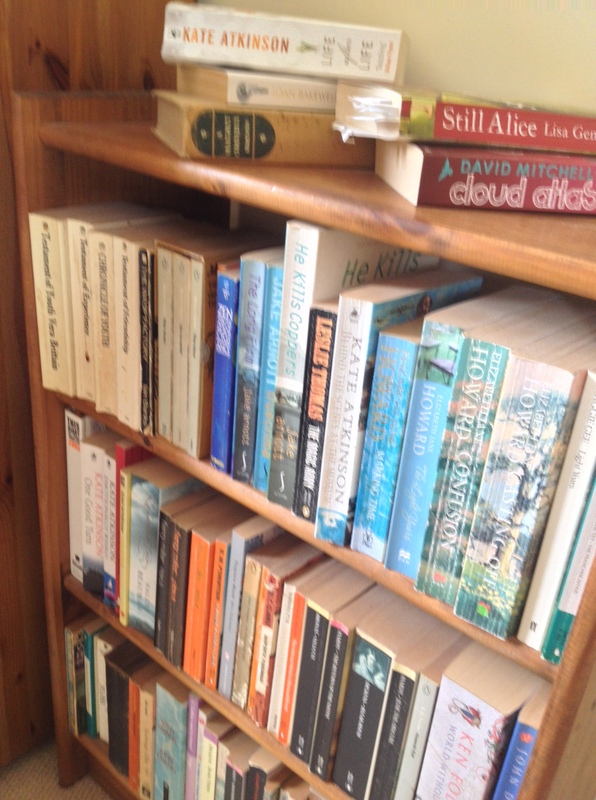 So which books have I enjoyed and which had me hurling them across the room? 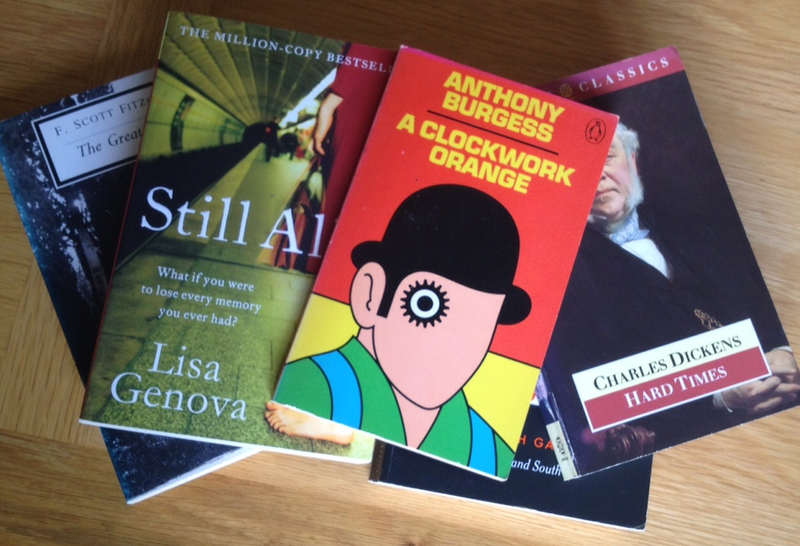 Which books made me want to write and which ones do I wish I’d written? And which books do I want everyone else to read? I wish I had written Behind the Scenes at the Museum, by Kate Atkinson, a brilliant evocation of post-war northern England which transported me back to my childhood in the same area in the same era, rekindling innumerable memories. Some of Atkinson’s later books are equally vivid explorations of history at its most human level, but it’s her remarkable debut novel that I remember with fondness. I’d like to give I Capture the Castle, by Dodie Smith, to any teenage girl of my acquaintance. This funny and poignant coming of age novel begins with the line, ‘I write this sitting in the kitchen sink.’ What’s not to like? I have read everything by Canadian author Robertson Davies. He was one of those authors, who, once I discovered him, I just had to read the whole body of work. I couldn’t get on with Cloud Atlas by David Mitchell. Too complicated for my tiny little mind, it may become the book I abandoned then restarted and absolutely loved. One to save for a holiday. An unexpected pleasure was Herbert Read’s The Green Child, an eccentric novel by a great 20th century thinker. My favourite storyteller is Stephen King. Regardless of the subject matter (horror isn’t to everyone’s taste), there is no denying King’s powers as a quite extraordinary raconteur. The first book I remember borrowing from the adult library was The Thirty Nine Steps by John Buchan. I’d read everything in the kid’s section by the age of twelve or so, and the adult area was a revelation – a door opening into a whole new exciting world. Over 50 years later, I’m still a fan of libraries. 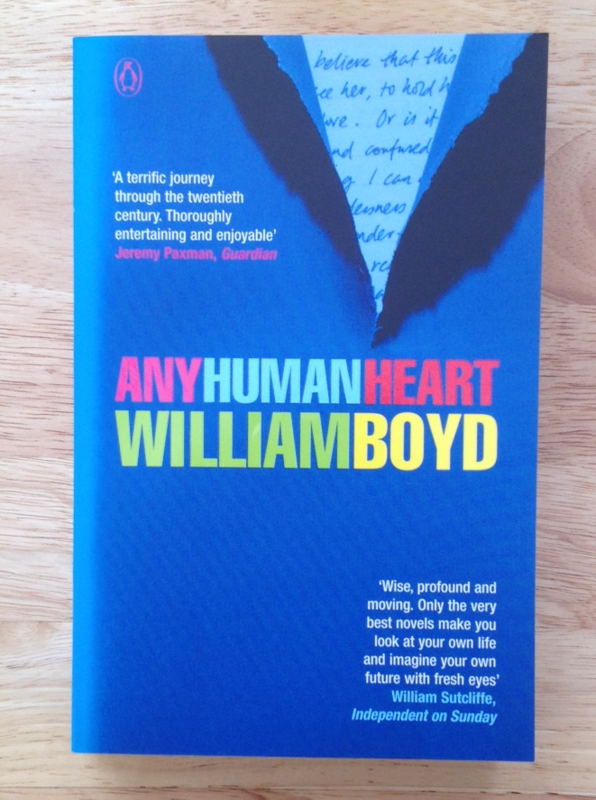 I’ll never give away Any Human Heart by William B oyd, which spans the 20thcentury and explores how public events impinge on individual consciousness. Moving, poignant and funny. So keen am I to have others read it that I’ve loaned this book to friends on more than one occasion, and then had to buy another copy. Moral: never lend a book if you want to see it again. These days I treat loans as gifts. The book that inspired me to write was Wuthering Heights, by Emily Bronte. 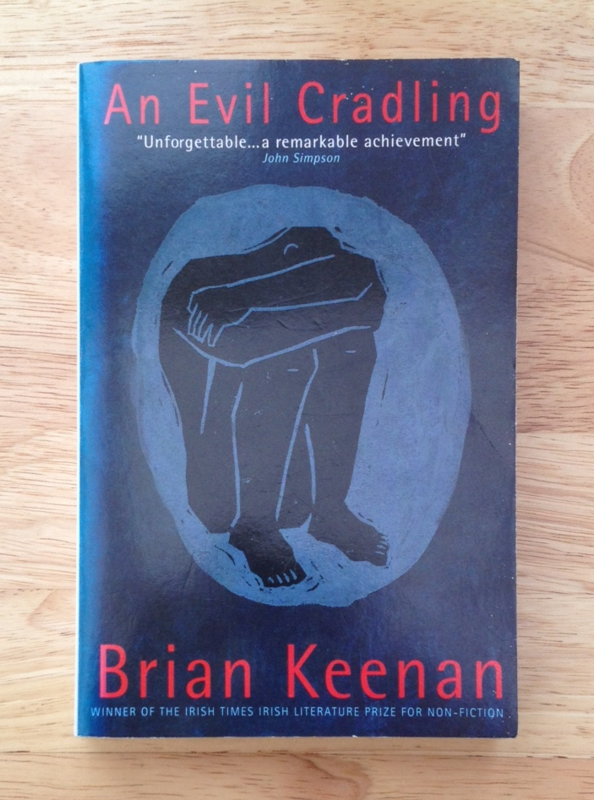 This tortured tale of romance and revenge appealed to my teenage self and it has never slackened its grip. If I could create something even approaching this I would be a very happy woman. I made a point of reading Still Alice by Lisa Genova, Keeper by Andrea Gillies and Elizabeth is Missing by Emma Healey, to compare the reality of living with a relative with Dementia to my own situation when my mother in law came to live with us. I wish I hadn’t bothered with Captain Corelli’s Mandolin, by Louis de Bernieres. Sorry. I used to think: I’ve started, so I’ll finish. But there are so many books still to read that I don’t waste time ploughing through stuff that hasn’t grabbed my attention by page 50, regardless of what others think. Having said that, on my desert island I’d like Remembrance of Things Past, by Marcel Proust, Dance to the Music of Time, by Anthony Powell and Wolf Hall and Bring up the Bodies by Hilary Mantell – I’ve started all of them, and I will get to the end. My guilty pleasure is Jack Reacher. Lee Child has created a great hero in these books and I’ve read them all. This entry was posted in author, character, Creative, Creative Writing, dialogue, Fiction, Memory, narrative, novel, plot, Reading, Structure, vocabulary, Writing and tagged inspiration, language, literature, reading, stephen king, writing by maggiecammiss. Bookmark the permalink. Oh, I adored Still Alice. It was a heartbreaking story, but it was also a very beautiful one. I especially liked seeing how the main character’s family rallied around her as her symptoms grew worse. Hurrah! Agree about the supposed classic Captain Corelli’s mandolin. I did finish it but with a sense of puzzlement. WHY? The first half was powerful and troubling – a history of the internecine struggle in Greece that I’d known nothing about. But the second half???? It became a completely different book. Seemed as if he ran out of steam and decided to go off on a bizarre and unconvincing tangent. An entirely unconvincing love story with a fatuous and unbelievable ending had been rammed on, creating an peculiar whole. Wuthering Heights inspired me too! Enjoyed reading your list. I also felt the same way about CCM – someone gave it to me as a present. We share quite a few choices there. I do agree with you about Antony Powell and the early Kate Atkinson. If you’re modelling your writing on this kind of writing (even though it’s become less conscious now – I wish I could get to that point) you must be writing some stylish stuff! Oh, I love Stephen King! He is such an inspiration to me. Reading Stephen King gets me through writer’s block sometimes. After a degree in English and several creative writing classes I have to say that I definitely overanalyze everything I read now. But that doesn’t ruin the fun for me. If anything, I enjoy it more when I am able to be surprised or feel great emotion. I still dislike some books and writers but I didn’t like them before. Now I know why I don’t like them. Great recommendations, I’ll have to read a few. Me too, Mallory. Now that I can put a finger on what is irking me about a particular book I can feel better about not liking it!